Below is information from PTA. Hello to new PPS Families for 2017/18. A warm welcome to the new children joining PPS next term, and to their families, from the PTA. We just wanted to take a minute to ask you to consider helping us raise funds for the school, by joining our Pencaitland PS School Lottery. 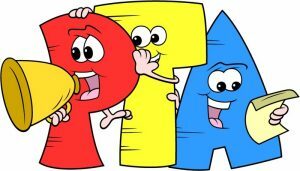 Every year we fund equipment and events for the children such as new P1 gym bags, school trips, playground equipment, and nursery/leavers gifts, as well as one off items such as new stage curtains, a nursery r evamps, and financial support for the brand new literacy programme for P1 to P3. We run several fundraising activities, such as the Family Fun Day, and (coming this autumn) a ‘pub quiz’. 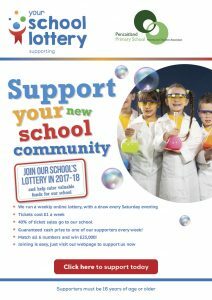 One of our newer efforts, and we hope one of the easiest ways to ask parents and family members to support the school, is by joining our School Lottery. Tickets are only £1 per week, and after admin and prize money, all profits come directly to us. Every week one of our supporters wins a prize. At the moment we are up to 82 tickets per week. We’d love to get that number up to 100, which would mean over £2000 raised for the school per year. Its very easy to join. Please click on the link on the leaflet and search for Pencaitland Primary School. If anyone wants to join but doesn’t have access to internet, please get in touch via the school, and I’ll be happy to help you join over the phone. Well done – what’s the definition? A) How this Scottish person looks after a day in the sun? B) A way to order steak? C) The way the PTA run an event. A HUGE well done to the PTA Team plus their sub group of helpers who organised another fantastic Family Fun Day (eternally known as The Spring Fayre to oldtimers). The parents and teachers who supported by turning out on the day to man stalls and café etc were greatly appreciated – and there’s no doubt that the children and families plus friends attending had a fantastic day! The children are always stars of course – with superb entries for the Amazing Spaces competition. Some fancy dress fun and the highlight – the wonderful talent competition. Absolutely wonderful talent competition! So well done to everyone who took part and entertained their audience so much – special mention to DJ David and Compère Scott – who set up the mini stage and kept the flow! To the bakers, the cooks at BBQ and the candyfloss team and bar staff and to the hard working café volunteers – you kept everyone happy and catered for. To Neill, Dave and the Neighbours – GAZEBOS R US team – who provided the shelter for Chefs and Bar :). To Vic, the relief janitor – what a star! The set up and clear down teams – well, without that, there’s nothing and big thanks to our mini helpers for pitching in too! Tombola, lucky dip, mini zoo, giant bouncy slide, sumo tournament, beat the goalie, obstacle course, splat the rat, wet sponge game, hook the duck, facepainting star Lynn – Fantoosh Face Art – Photo booth manager Ralph, Toy/Clothing/Books stall volunteers, plant stall, chill-out zone and story stones – was there anything we didn’t have?? Tractor, sheep pen and ice cream van – ‘have a go fun area’, Choir singing, Zumba join in demo… Fantastic!!! 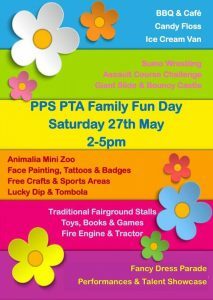 So to the incredible team – the PPS PTA and their “Family Fun Day” sub group – WOW. 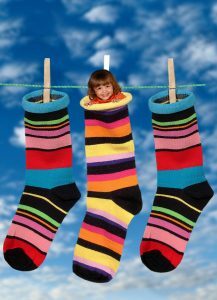 You knocked our socks off! It’s Nearly Here – Annual Family Fun Day (aka The Spring Fayre). As always, a lovely community day out planned with something for everyone. Highlights this year’s “Amazing Spaces” competition to design your Ideal Playground (we can’t wait to see the entries); a fun talent competition and the school brass group playing. Chill-out arts and crafts zone, crazy bouncy fun, assault course, face-painting, badge making and loads more alongside BBQ and candy floss. Don’t forget the fancy dress parade either! All welcome – so please share with new neighbours, old friends and those no longer connected with the school directly. Helpers for all the usual tasks (manning play stations, helping with set up and clear up) required to make the day go smoothly and ensure everyone gets a chance to enjoy at least some of it with their kids and families, so please do roll up sleeves and pitch in where you can. To sign up is very simple – just follow this link. Where? PPS – The Glebe. You can’t miss it! (Don’t forget, no parking on The Glebe and only disabled access to school car park). Please take a moment to read this newsletter as it contains important information about a new PTA lottery initiative that concerns the whole community. 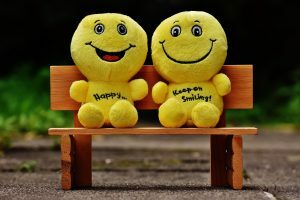 Please use this link if you are interested in using easyfundraising.org as we get extra bonuses for referring customers. 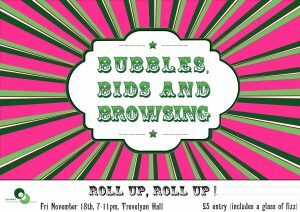 Fri 18th Nov. ’16 : Join the upstyled Ladies (and lads) Pamper Night to help raise money for the Nursery. Target is £1000 so come join the fun, bring friends and lets create a bit of magic for our youngest pupils. STOP PRESS: Thanks to all who came along and all who offered an Auction Prize…..figures to be confirmed but we got close to our target! 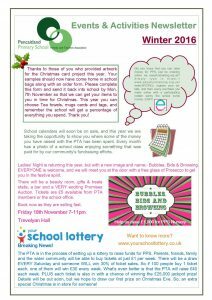 The PTA now have a new easy way of fundraising for the school. Managed through an approved website, you have the chance to join the schools lottery. Why should I join? Source Info from webpage. In contrast to the National lottery, who only pass on 28p in every pound, and the Health Lottery who pass on a miserly 20.2p to good causes, we at your school lottery are extremely proud to say we put both of them to shame by promising a minimum PTA contribution of 40%. That’s almost DOUBLE the Health Lottery and over 42% more pence in the pound than what the National Lottery do. So, for every £1 raised, 40p goes to PTA account for use to support PPS. What do you get? The chance to win a local (school) lottery and the chance to be entered into a national jackpot lottery every week. Pencaitland Primary School PTA is a Scottish Charitable Incorporated Organisation, Scottish Charity Number: SC042585. 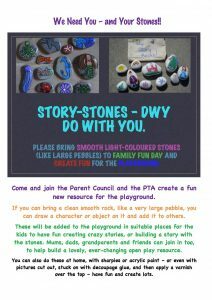 The PTA organises events and raises money for the school. The PTA set up and helps to look after the school garden and organises the after-school French Club. The PTA has also organised the annual Fireworks until recently and the day of fun with the Spring Fayre. The PTA regularly pays for important extras that the school cannot fund directly. Please click on the links below to read minutes of PTA meetings. I have just discovered that the fantastic PTA fireworks are not happening this year. I always look forward to them, but I hadn’t realised quite how upset I’d be without them. I appreciate that you’ll have your reasons, but I want to share why these fireworks mean so much to me and why I sincerely hope that not having them is a one off, not a taste of things to come. My family moved to Pencaitland when I was two and I attended PPS. I am now 29 and haven’t missed a single Pencaitland fireworks night. Looking back on my childhood I can genuinely say that fireworks night was the single most magical night of the year, except perhaps for Christmas eve. Going out in the dark,sparklers in hand (later glow sticks!) walking with neighbours and friends towards the fairy-lights and the bonfire, watching delighted faces in the dark light up with each firework. I sat on my dad’s shoulders as a small child, shared the event with grandparents and aunties, hung around the fire afterwards with friends as a teenager, wondering at the heat of it, and now I come back every year as an adult, bringing my partner and friends from all over, the furthest coming all the way from Adelaide, Australia! She was very impressed that our little village came together to put on such a magical show. This night is looked forward to by many as a sparkle of light in the dark months. I understand that there must be reasons for this, but I do wonder at your decision. Without this night, the lives of the children of your community have a little less magic in them. Maybe this evening isn’t seen as essential, but it’s so, so important, for generations of people. I hope that in 2015 I will be back among my community, by the bonfire, watching the fireworks and feeling both small again and part of something larger. Thank you for your email – we appreciate your comments. The fireworks are fully organised and run by the PTA each year – as you may appreciate this takes significant organisation and funds to put on. During 2014 there were many member changes in the PTA and the new committee came together in August this year. The topic of the fireworks was subject of many discussions and it was not taken lightly to cancel it for this year. There were two key issues which resulted in this decision. Firstly, we are a new Committee and did not feel there would be sufficient time or resources to allow it to be successfully organised in time for the start of November. Secondly, and more importantly, we did not have sufficient funds to allow us to hold the event. At a registered charity we are obliged to hold adequate funds to operate and meet the ongoing requirements. We had several financial commitments which our funds were required for. In addition, in 2013 the fireworks display made a loss. We can only hold events if we have sufficient resources to pay for all costs which will be incurred – we cannot hope that the costs will be met by the monies collected from the event, as in some cases they are not. 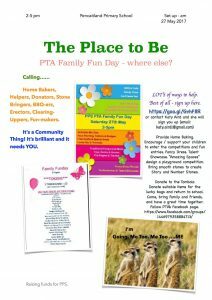 Whilst the fireworks is an event enjoyed by the whole community (and more) the purpose of holding such events is to raise funds for the PTA, we cannot hold events that cost more than they raise. 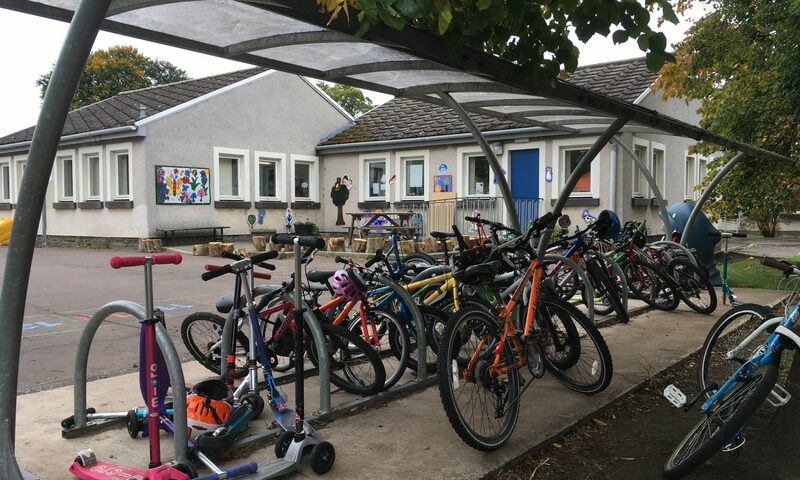 Our charitable purpose is to raise money for the PTA, and ultimately Pencaitland Primary School – this is a legal obligation, and we cannot use our money for any other purposes (for example funding community events). Having said all that, we do hope that this is just a one off and we are aiming to hold the fireworks again next year. During 2014 we are holding various events, that all members of the community are welcome to attend, with the aim to raise sufficient funds to hold a successful fireworks event in 2015. 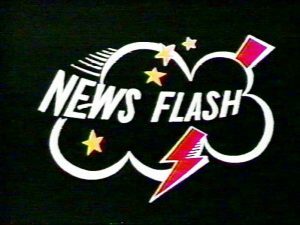 Please be aware that all members of the PTA are disappointed there are no fireworks this year, as it also affects us all personally.